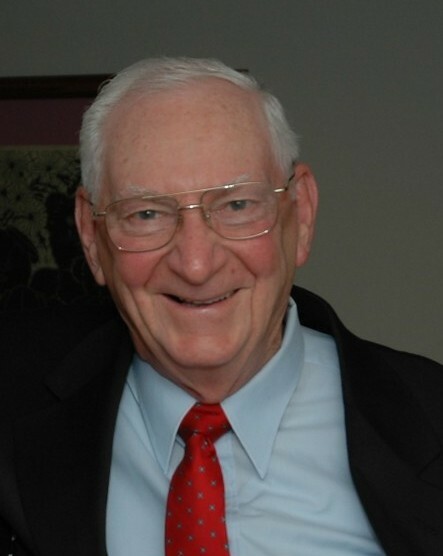 Homer David Case, 87, of Plainville, CT, husband of Pauline (Johnson) Case, and son of Lenson H. and Ella Betsey Case, passed away in easy conversation with one of his loving sons on February 10, 2019, two days before his 88th birthday. Always with a song in his heart, he approached life with compassion for others and generosity of spirit, demonstrating that doing for others is the greatest reward we can give to ourselves. Homer is survived by his children, Gary (Susan) Case, Paul (Debra) Case, Lee (Edward) Drag, Scott Case, daughter-in-law, Collette; his grandchildren Shannon (Tim) Nowak, Gregory (Regan) Case, Jessica (Myles) Angell, Kelly (Joshua) Fowler, Joshua (Meghan) Case, Ronald Case Jr, Amanda Case, Stephanie (Kyle) Turner, Jonathan Case; his great grandchildren David Nowak, Roman and Xander Case, Rory and Elli Angell, Lyla, Paul and Charlotte Fowler, Clark Case, and Parker Eveleth and Aubree Bohannon. He is also survived by his brothers Harlan Case, Richard (Evelyn) Case, sisters-in-law Mary and Dorothy Case, and several nieces and nephews. Homer was predeceased by his beloved wife of 62 years, Pauline (Johnson) Case, to whom he devoted himself so compassionately, his son Ronald Case Sr., his brothers Howard Case, Clarence Case, Chester Case, Edward Case, and his sisters Olive San Juan and Ella Betsey Ross. Though he was a gentle giant, it wasn’t his height or hands, but his heart that was the biggest part of him. When his family grew through marriage, he welcomed each new family member as someone he had been waiting for all along, making each feel immediately welcome, at home, at ease, and loved. Homer retired from GE in 1988, splitting his residence between Plainville, CT and Otis, MA. Though he tried out the snowbird lifestyle for a couple of winters, he found that being nearer to his family was worth the winter weather. Ultimately, he watched the calendar for spring, racing to be first at the lake for the season. It is in Otis where he found the most pleasure in his retirement, building clocks, playing cards with friends and family, picking fresh fruit to make his jam, doctoring cookie recipes, singing karaoke to standing ovations, cruising around the lake in the evening, driving to the fields to watch the deer come out at dusk, mastering Peggle, and cherishing his time with friends and family in the life he built with them. Homer proved the simple pleasures in life add up to profound joy. He was so proud of his family, and this was ever-evident in his smiling eyes when his daughter and sons approached for a hug, when he listened to Gregory’s music, when he proudly displayed Shannon’s paintings, when he danced with one of his girls at her wedding, or when he applauded one of his grandchildren’s or great-grandchildren’s achievements -- a stage play, a preschool graduation, or even the completion of a puzzle. His family was his world.